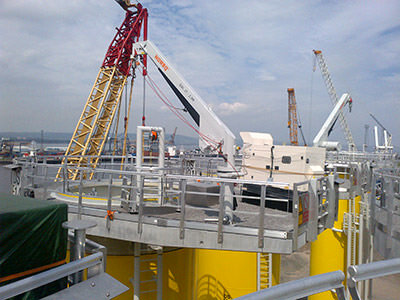 Clients, such as Eon, Dong and Statoil, have entrusted Barton with the installation, modification, repair and maintenance of ManSafe® Sealed Self Retracting Lifeline systems at various off-shore wind farms (Barrow, Sherringham Shoal and Robin Rigg). 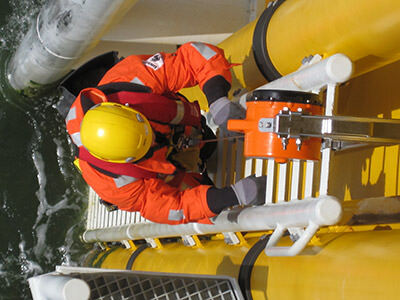 In all cases, Barton provided the safest and most reliable off-shore ladder access solution. The ManSafe® Sealed SRL offers a dependable means of fall protection whilst climbing any offshore wind turbine access ladder. 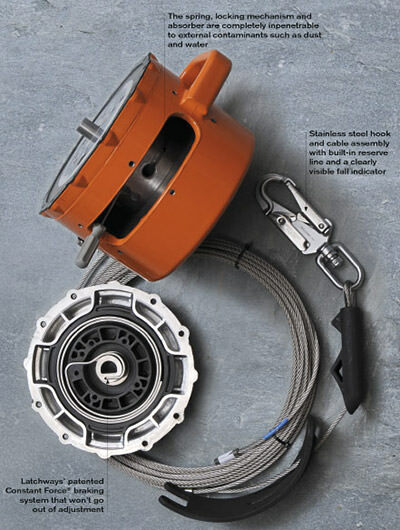 The ManSafe® Sealed Self Retracting Lifeline (SRL)—when combined with a fixed, custom-made post—allows safe, unhindered access from vessel to turbine. Once mounted on a specially-designed post, and combined with a pulley-based tether line, the SRL is easily accessible by the user from the boat. Once inside the turbine, the tailored cable system for internal aluminum ladders provides safe, permanent attachment without the need to remove the cable from the intermediate wire guides allowing safe ground to nacelle transition. The Sealed SRL has been developed with a number of unique features to provide a smarter, safer, stronger and better alternative to traditional SRLs. The pawl locking mechanism provides a 100% reliable locking mechanism that will not freeze, hang-up or corrode. A built-in reserve line ensures that a fall is arrested safely even when the cable is fully extended. The critical components are sealed from the external environment by a series of gasket, preventing material and moisture ingress. ATEX approved— suitable for use in potentially explosive environments.